The location of your garden is very important. You will need to consider how much sun the space will get, the soil quality, how much water it will receive naturally, as well as ease of access to an additional water source. This will help to determine the type of garden that will be suitable for your area. Clean up old beds or create new ones, removing all weeds and freshening borders, incorporating as much organic matter as you can. Try not to turn soil that is still saturated from melting snow and rain, as it will become too compact and difficult for plant roots to penetrate. Incorporate fertilizer and/or compost into the soil before planting to ensure an even distribution of nutrients. An all-purpose fertilizer may be used or, depending on the vegetation that you wish to include in your garden, you may use fertilizers that are more plant specific. Starting small is a good way to master the basics, such as water and soil requirements, pest control, plant selection, garden design and maintenance. It is important to develop an understanding of the plant hardiness zones for your area. This ensures that you pick the best plants for your climate, know when to plant your garden and care for your plants in the proper way. The best time for planting is an overcast day with rain in the forecast, to ensure that the plants will receive an adequate amount of water to set their roots. 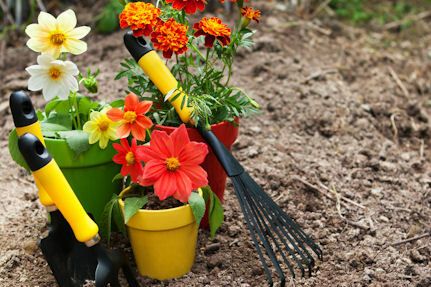 Do not plant if frost or drought is in the forecast, or in the heat of the afternoon during the summer months. Water plants in their pots the day before planting to ensure that the soil is moist but not saturated. Climatize your plants before planting to prevent them from going through shock while dealing with new temperature and soil conditions. 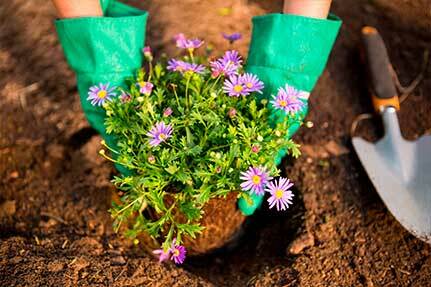 In spring, put plants outside during the day and return back inside at night. Always dig your hole the same depth as that of the pot and twice the width so the soil surrounding the plant is loose enough for the roots to penetrate. If you haven’t worked new soil or compost into your garden this season, incorporating new soil into the hole, mixing it with the existing soil, will add essential nutrients. You will also want to loosen the root ball so that, when planted, the roots can spread out and set themselves quickly. Even if fertilizer or compost has been added to the soil prior to planting, it is a good idea to use a transplanting fertilizer or root developer, such as Myke, when planting. In this way the plants can set their roots quickly and start to draw in the moisture and nutrients they need. Spread mulch over the soil after planting to hinder the growth of weeds and prevent the soil from drying out too quickly. Mulch also keeps the soil cooler in summer and insulates the ground in winter. Organic mulches also add beneficial nutrients to the soil as they break down. Clean and repair garden tools regularly. When pruning infected sections out of diseased plants, be sure to clean the blades of your tool, with a mixture of bleach and water, after each cut, to ensure that you are not spreading the disease or fungus further. Tend to your garden on a regular basis for early identification of pest problems or diseases, to ensure that soil and water requirements are sufficient to nourish plant life, and to remove unwanted weeds. Ten minutes a day can save you a lot of time and effort in the long run. Weeds should be dealt with promptly before they set seed, by pulling them out, ensuring that you are removing as much of the root system as possible. 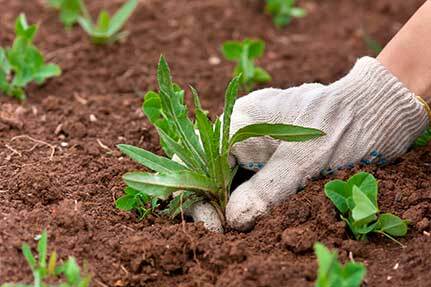 As weeds grow more vigorously in bare patches, use ground covers and/or mulch to cover areas of bare soil. Pruning your plants regularly will prevent them from growing out of control, save you the annual battle, and decrease the amount of yard waste. Just trim off the tips of new growth and let the waste break down into your garden. If pruning an overgrown plant, never remove more than one-third of the plant. Make sure that you are removing old and new growth. Certain plants benefit from pruning at different times during the season, so do some research to ensure that pruning is done at a time when it will not hinder the growth and development of the plant. For instance, fruit trees should be pruned in winter or very early spring so as not to interfere with their ability to produce fruit, and many flowering plants need to be pruned regularly to remove dead flowers so that they may produce new ones. – John & Marina M.
– Dianne & Rick K.
– Paul & Kelly F.
During late August to September, many people report seeing “giant mosquitoes” in their yard. 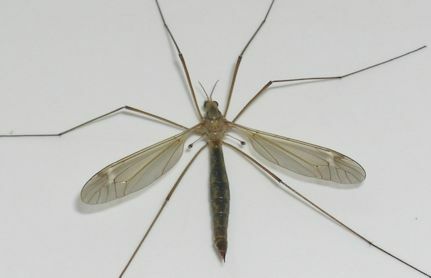 These are the adult European Crane Fly. They do not bite or sting. In the spring & summer you may find the larvae (called Leatherjackets) in your lawn. Leatherjackets are short light grey to brown in colour with a black back, worms. Leatherjackets will feed on grass. During the day, they feed at or below the grass surface on root hairs, roots and crowns. At night, they feed above ground on crowns, stems and blades. Irregular browning of the turf is the result of the pest having damaged the plant’s crowns and eating away at the leaf blades. The larvae are often found after rain when they are washed out onto sidewalks, patios and driveways. Secondary damage may result from birds or raccoons, digging & pecking away at the turf trying to reach the larvae. Call our office today to book a Nematode treatment to help gain control. Subscribe now and be the first to know about our latest deals, exclusive offers, events & more! 40 Roy Blvd, Brantford On.